Now, two of Rev. 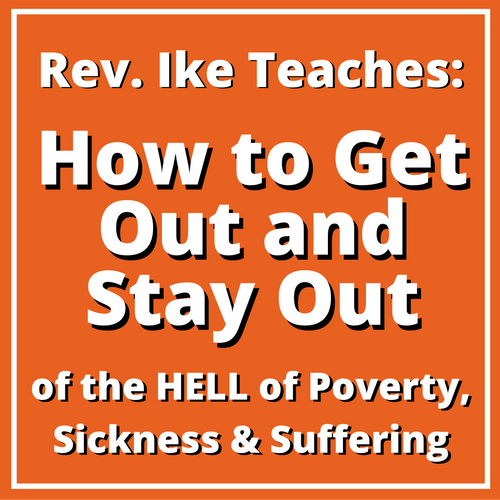 Ike's most profound, most powerful life-changing lessons are available together in a 2-MP3 set that teaches you How to Get Out and Stay Out of the HELL of Poverty, Sickness and Suffering! 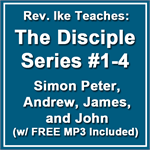 In these dynamic audio lessons, Rev. Ike shows you that whatever you are – rich, poor or otherwise – youre that because you have been mentally conditioned to be that! If you are having a problem with money, if you are having a limited experience with money, it is more than likely that somewhere deep down in your subconscious mind is a "money rejection complex" that you need to root out. ... that literally re-program your mind with powerful new beliefs about yourself and new realization of your own Mind Power! As you listen to these MP3s, your mind is conditioned for Happiness, Success and Prosperity – you are turned on to the riches of life! So often weve been taught about a stingy old Sunday School God, and you may pray, "Oh, Lord, please give me this and I won't ask for anything else. I dont want to ask for too much." ... Rev. 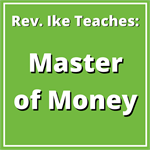 Ike shows you the right way to pray to a loving, generous God who WANTS to give you infinite riches! You will come out of this experience with a "renewed mind" – knowing that, "I am one with God". And that is the basis of health, happiness, love and success! In this audio teaching, Rev. Ike shatters the belief that you have to suffer on earth to get to Heaven when you die, and impresses upon you the true meaning of Heaven and Hell – not as places in the sky and down below – but as places in your mind! You'll clear your mind – once and for all – of that negative belief in a God who rewards you in Heaven – after you die – for a life of poverty and suffering on earth. ... and you will come to believe in your own power to create the life you desire – your divine power of God-in-you! If You Are Already In 'A Hell of a Fix' – You Will Find The Way Out! Rev. Ike hammers away at all your negative ideas so that you can be set free from these various 'hells' that you are going through right here on earth. ... And you'll stop looking for God anywhere else except within you. Take this voyage of self-discovery and transformation with Rev. Ike and find the Heaven that is right here and right now! 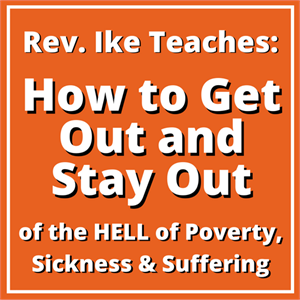 Order this audio lesson, How to Get Out and Stay Out of the HELL of Poverty, Sickness and Suffering Now! Total length: 1 hour 28 minutes.